The future of cyber already is here – and it’s helping chart where the Augusta area is headed. That’s part of what experts from Augusta University and the Fort Gordon Cyber District shared Wednesday during a panel discussion with area business leaders. “Cyber for the Future” was the discussion topic at the Columbia County Chamber of Commerce’s Executive Luncheon Series at Savannah Rapids Pavilion. Augusta is a growing focal point of cyber activity. Fort Gordon, already home to the Army’s largest cyber training center, will become the home of the Army’s Cyber Command by 2020. 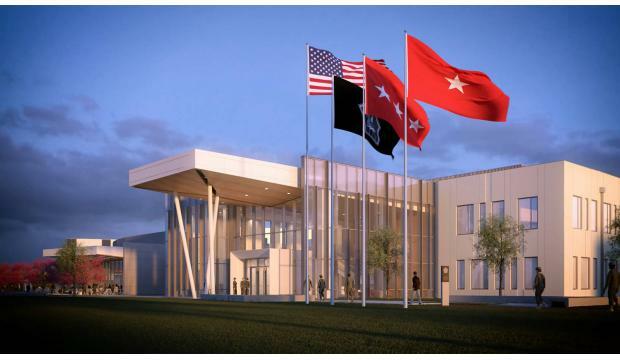 Also, the Georgia Cyber Innovation and Training Center – designed to promote modernization in cybersecurity through public-private partnerships – is under construction on Reynolds Street downtown. The center will anchor AU’s Riverfront Campus. “If there’s one thing I want you to leave with, it’s that what we’re doing in cyber in this region really is all our jobs,” said Joanne Sexton, the founding dean of AU’s School of Computer and Cyber Science and the director of AU’s Cyber Institute. A key mission of the institute is to engage the community to foster current and future generations of cyber professionals for a workforce expected to grow. The institute runs several education and research initiatives supporting cybersecurity and encouraging student involvement. It plays host to an annual GenCyber Camp for high-school sophomores and juniors, and an ongoing Girls Who Code Camp for pupils in sixth through 12th grades. While the Augusta area’s cyber emphasis is expected to favor cybersecurity, Sexton said the area is far-reaching and touches anyone who uses the internet or electronics to communicate. AU associate political science professor William Hatcher is director of the school’s Master of Public Administration program. He co-wrote a study earlier this year that for the first time drew into focus the scope – and current and future needs – of the Augusta area’s cyber workforce. The study’s major takeaways, he said, are that Augusta already is an innovative cyber hub, and that the area’s cyber workforce is expected to grow and exert a substantial influence on the area economy. Workers educated here or brought here by job opportunities will earn substantial salaries, which will be spent in the community on goods and services, which will elevate the businesses providing those goods and services, Hatcher said. Governments also will welcome those workers’ tax dollars. “This growth is going to be positive for all of us, even if you don’t work directly in the cyber community,” Hatcher said. Colin Comfort is project manager for the Fort Gordon Cyber District, a nonprofit aiming to stimulate investment and encourage growth in the Augusta area as the area’s cyber presence grows. Comfort pointed out some of the initiatives designed to reach out to both students and teachers to strengthen the area’s cyber workforce backbone. The National Integrated Cyber Education Research Center – an arm of the Cyber Innovation Center in Bossier City, La. – is training 35 Columbia County high-school teachers in computer science. On Nov. 1, 40 middle-school teachers were scheduled to begin training. Teams of students throughout the Augusta region also participate in CyberPatriot, the National Youth Cyber Education Program created by the Air Force Association to inspire students toward cybersecurity careers. Last year the region had eight teams. This year it has 81, Comfort said. With cybersecurity becoming an increasingly louder buzzword, “we’re trying to bring awareness to students and parents in the region of what cyber is,” he said.